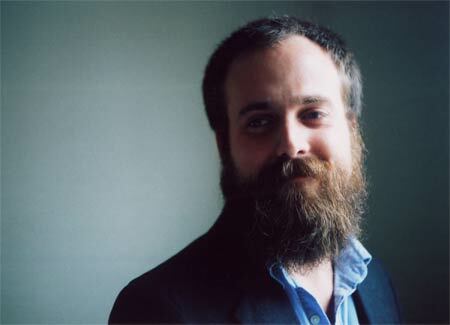 Celebrating the release of his fourth full-length studio album, ‘Kiss Each Other Clean’, Sam Beam, aka Iron & Wine, returns to the UK to play a sell out show at The Roundhouse in London. Shortly after a tentative opening from the support act (singer/songwriter Daniel Martin Moore), the affable frontman and his band took to the stage. The transformation from quiet, alt-folk singer to elaborate and experimental musician is none more obvious than with opening track ‘Boy With A Coin’. Playing around with the keys and arrangements of every song, the crowd are treated to some rare musical jems; ‘He Lays In The Reins’ is a highlight, and the various samba and jazz breakdowns really illustrated Iron & Wine’s musical evolution, and with their emphatic saxophonist and the ever-so-slightly distracting percussionist, the synergy of the band really brought the performances to life. Beam proved to be a very becoming host and captivated the audience from the very beginning. Naturally, the set-list focused on the latest LP release; tracks such as ‘Me And Lazarus’, ‘Walking Far From Home’ and the single ‘Tree By The River’ distinctly had the crowd singing along, but the band proved to cater for fans of all eras by playing an array of songs from all of Iron & Wine’s releases. The set culminates in the same way the album finishes with ‘Your Fake Name Is Good Enough For Me’, however we’re treated to a stripped down rendition of the crowd favourite ‘Naked As We Came’ as an encore. Beam and his band promptly leave the stage, waving goodbye, after having played a truly mesmerising show.